Having bought a kayak, you will realize that there are much more accessories required to heighten your kayaking experience. This is especially true if you are looking to cover a large fishing area, which can’t be possibly covered by paddling only. Trolling motors are kayak accessories that help in realizing an effortless kayaking experience. It is a convenient and flexible choice to invest in, if you need to save some energy during your escapades. The effectiveness of kayak trolling motors solely relies on your choice. 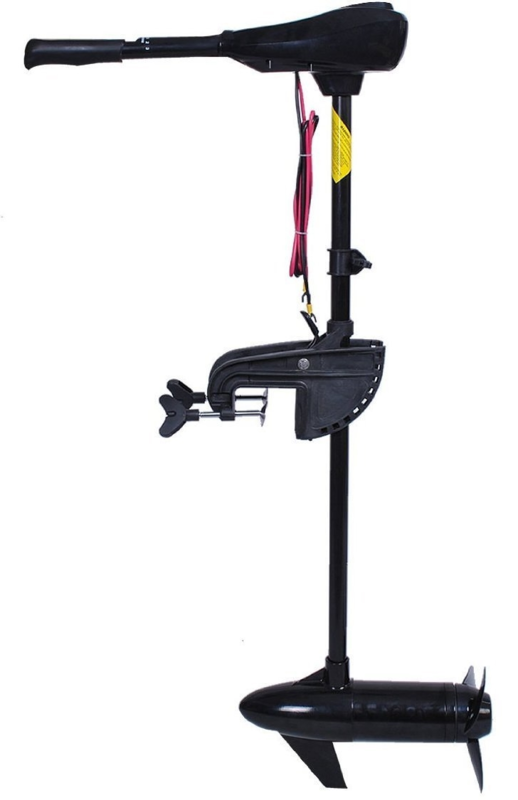 The best kayak trolling motor mount should suit your kayak size, have sufficient loading capacity and efficient mounting location. It should also suit your preferred sailing water, which can be fresh or salty. To help you make a good choice, our kayak trolling motor mounts review below discusses some of the best products as well as factors to consider when searching for one. 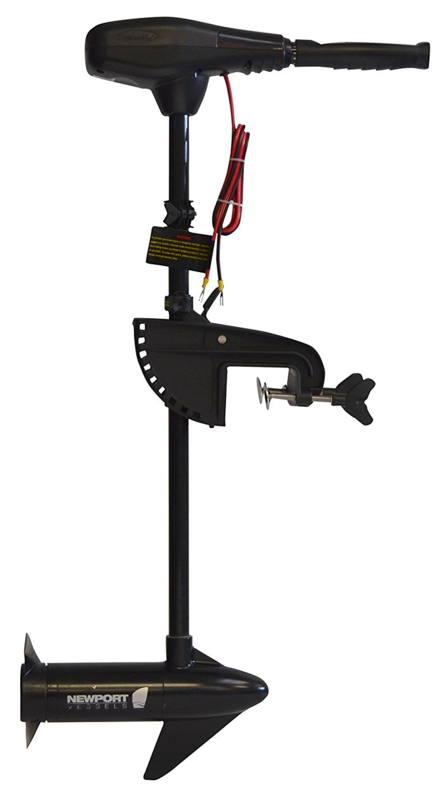 If you are in the market looking for a trolling motor for your kayak or canoes, worry not as the Goplus Freshwater Mounted Trolling Motor is there for you. Goplus’s robust design makes it a suitable trolling motor for small and medium sized boats and kayaks. It is also uniquely designed for freshwater use. Perhaps the highlight of this motor’s features being the ergonomic telescopic handle. The motor comes with a six-inch handle that makes it easy to control the motor. It also features a three-blade propeller that ascertains a smooth and efficient running in ponds and lakes with weeds and grasses. With an overnight charge, the Goplus Freshwater Mounted Trolling Motor can run for 8 to 10 hours. It can also smoothly run at a speed of 3.5mph with a sizeable load. As you may know, Minn Kota believes hugely in innovating their products. The Minn Kota Endura C2 30 Freshwater Trolling Motor is an excellent performer, a perfect combination of functionality and design in a trolling motor. This motor is a freshwater transom mounted motor with 30-inch shaft and high thrust level. Like other top-notch products, it features a telescopic handle with a tilt twist that provides for easy steering and speed control. The Minn Kota Endura C2 30 Freshwater Trolling Motor generates less noise, less heat and runs extra cool with windings, large brushes, and commutators. Its extended battery life provides additional time usage. Like the Goplus trolling motor, it has three reversing speeds and five forward speeds that provides much versatility. Its composite shaft is undoubtedly indestructible with a backing of a two-year warranty. Yet again from this trusted brand, a compact trolling motor hits the market, working equally well for both fresh and salty water. The Watersnake Asp Trolling Motor is a perfect choice for small boats and kayaks as it can easily be transom mounted with secure connections. Unlike other models, it works efficiently with two speed modes, clustered as high and low for both forward and reverse gears. It produces a relatively low thrust of 18 pounds powered by a 12V trolling motor. Comparing the price and its feature ratio, the Watersnake Asp Trolling Motor is the best manually controlled trolling motor. It has a one-year manufacturer warranty backing up the ascertained effectiveness. Due to its weight, it is a perfect trolling motor for fishing. It is lightweight but performs expertly. It can also quickly cut through waterweeds and frequent water grass. The Newport Vessels NV-Series Trolling Motor is fully different from other high-end models including the Minn Kota and Motorguide trolling motors. All high-end trolling motors offer amazing motors with amazing thrust power. However, Newport offers more features at low costs. Its resistance to salty water is perhaps the outstanding feature of this trolling motor. It is made of stainless steel, zinc, and aluminum, thus enhancing its performance in the salty water. It also comes with a 5-point meter that delivers precise battery life measurements. The 30-inch composite fiberglass shaft of this motor delivers a 36lbs thrust, perhaps perfect power for boats, kayaks and other vessels requiring 36lbs of thrust. Fishing through waterweeds is made possible by the 2-blade propeller of an 8.9-inch diameter that cuts through any obstacle. If you are in the market for a trolling motor that well suits kayaks, consider the Minn Kota Endura C2 55 Trolling Motor. It is saltwater-resistant thus increases its efficiency for effortless fishing. 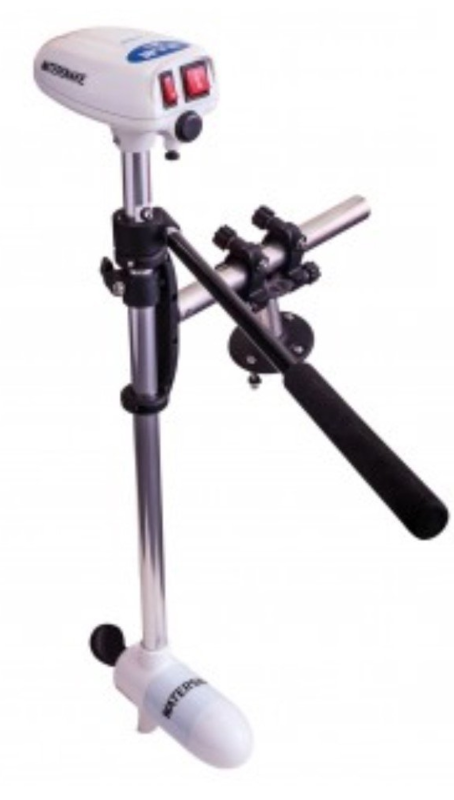 It provides a maximum thrust of 55lbs, providing enough speed and thrust. 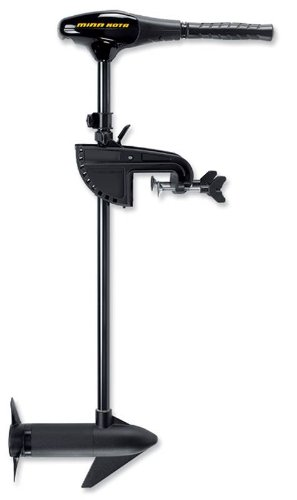 Like other Minn Kota line of products, it comes with five forward and three reverse gears for quick transit when fishing. This is a package of both functionality and design. Its powerful shaft with prop provides for exceptional hand control. The flared, swept-back blades assure reliable performance from this motor. 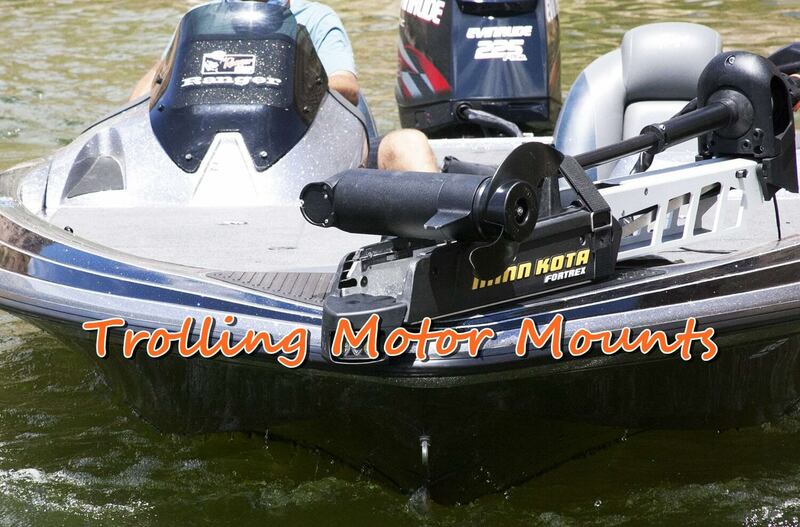 Mounting location – trolling motors can be mounted on the transom or bow of the kayak or boat. Transom mounts are best for kayaks whereas bow mounts are preferred to medium to large boats. Kayak size – consider the size of your kayak to decide on how much battery power and thrust is needed from the trolling motor. Loading capacity – the kayak’s loading capacity determines the thrust needed. Large boats require a minimum of 80lbs thrust. Water type – there are trolling motors for fresh and salty water. Others are salty water-resistant and can work in both water types. Trolling motors come in handy for fishing enthusiasts looking to expand their fishing abilities. A mounted trolling motor reduces the energy you will need to move boats or kayak during this activity. The best trolling motor should offer maximum control, a variety of speeds, comfortable, convenient and easy to install. You can choose one from our kayak trolling motor mounts review above. Having said this, which is your favorite trolling motor? Share with us in the comments section below!